I was so please when Michelle owner and founder of Hurley’s wedding day dogs asked me to provide makeup for her promotional shoot. 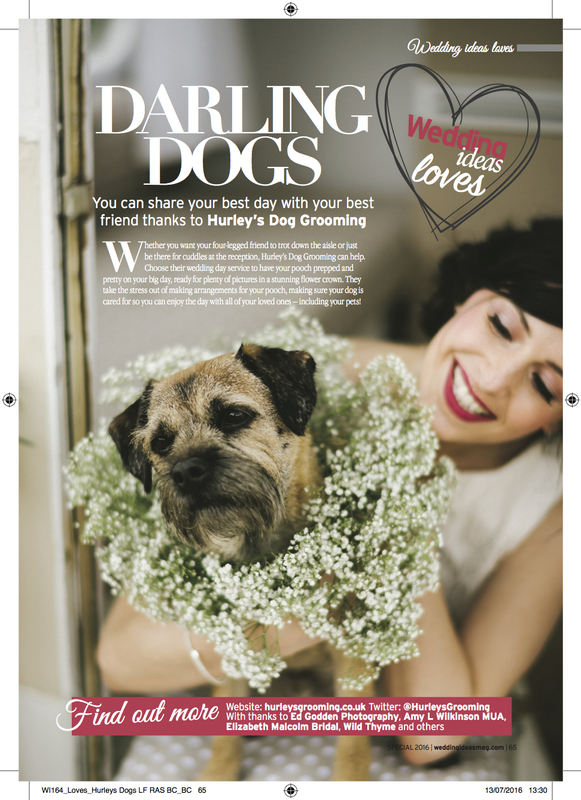 Barely a month later Wedding Ideas Magazine fell in love with the idea and made a full page feature of it, and declared their love to the world!. Hurley himself graced the full page spread. To see more of this fantastic shoot check out The Festival brides blog where you will find lots more images and a beautiful write up about Hurleys. 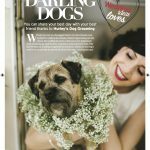 For a real wedding featuring a real wedding day dog ‘poppy’ follow this link to Wedding Ideas website to see Claire and Dans wedding. I was lucky enough to provide makeup for Claire and see Poppy myself. Jewellery: Shivani , Stella and dot.